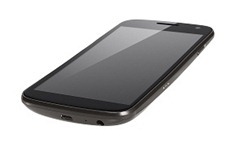 Mobile phone network Three has opened up the ordering of the world’s first handset to arrive running Android ‘Ice Cream Sandwich’ 4.0 – the Samsung Galaxy Nexus, with a delivery date of early next week. The Samsung Galaxy Nexus was launched mid-October, along with Android 4.0 which brings with it features only found in the Google tablet ‘Honeycomb’ operating system. Samsung’s Galaxy Nexus arrives with a 4.65-inch Super AMOLED display and a 1280×720 resolution, a 5 megapixel camera with autofocus and LED flash – with full HD 1080p video capture, NFC and HSPA+ abilities. Three are carrying the Samsung Galaxy Nexus on contracts starting from £34 a month, with 500 minutes, a 5,000 text message bundle and a 1GB data allowance. The handset is also available on their ‘One Plan’, with 2,000 minutes, a further 5,000 minutes to any Three based phone numbers, a 5,000 text message allowance and the truly unlimited mobile broadband data package – for £40 a month. One Mobile Ring attended the European launch event for the Galaxy Nexus, where we captured a hands on walkthrough in pictures of the mobile phone here – along with a briefing on video, from a senior Google spokesperson here.